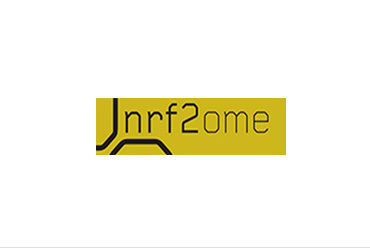 NRF2-ome provides an integrated and systems-level database for NRF2. NRF2 is the master transcriptional regulator of oxidative and xenobiotic stress responses. NRF2 has important roles in carcinogenesis, inflammation, and neurodegenerative diseases. The database contains manually curated and predicted interactions of NRF2 as well as data from external interaction databases. We integrated NRF2 interactome with NRF2 target genes, NRF2 regulating TFs, and miRNAs. We connected NRF2-ome to signaling pathways to allow mapping upstream NRF2 regulatory components that could directly or indirectly influence NRF2 activity totaling 35,967 protein-protein and signaling interactions. The database can be downloaded in SQL, CSV, BioPAX, SBML, PSI-MI, and in a Cytoscape CYS file formats. NRF2-ome can also be used as an evaluation tool to help researchers and drug developers to understand the hidden regulatory mechanisms in the complex network of NRF2.